OpsCenter Analytics, formerly Backup Reporter, helps enhance backup and archive operations, verify service level compliance with more in depth policy and schedule information, and align backup and archiving with the business. OpsCenter Analytics provides multi product and platform support, business reporting, and complete customization, providing enhanced visibility and control into backup environment and operations. Long term, configurable data retention for trending and analysis. Dynamic job & policy analysis. Reporting on exchange archiving from Enterprise Vault. Easy upgrade from OpsCenter to OpsCenter Analytics. Better predict backup storage consumption across multiple locations through maintained historical backup and archive job information. 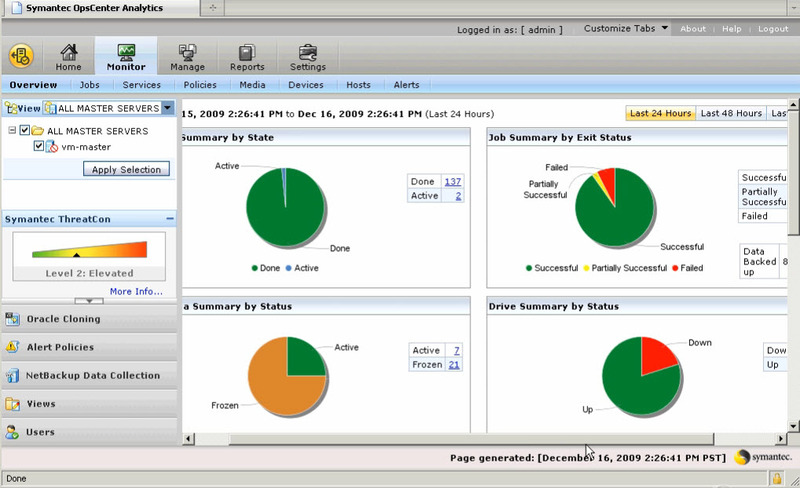 Reports can be created around one of the most highly managed areas of NetBackup: the policy and schedule engine. People less removed from day to day operations , and have centralized reporting for backup and archive operations. Business reporting previously available with VBR – including historical trending and predictive forecasting, cost analysis reports, complete report customization and support for 3rd party data protection products – now included in the OpsCenter package. 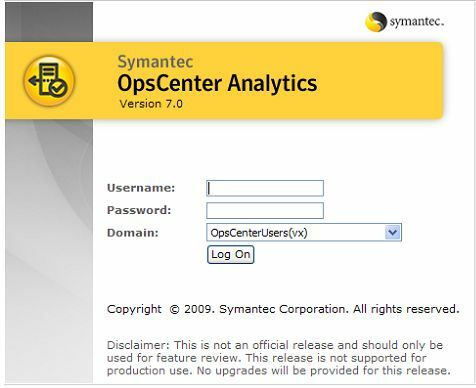 This entry was posted in Symantec and tagged Netbackup 7, OpsCenter Analytics, Symantec Netbackup 7, Symantec OpsCenter, Symantec OpsCenter Administration Guide, Symantec OpsCenter Overview. Bookmark the permalink. Can we access the sybase like what we can do on VBR in NBU 6.X? Can we run sql query on Ops center?